Wow what a voice for your age! Your high notes were ringing beautifully. You have a very strong tongue though which sounds pulled back on your “ah” and “ooh” vowels. Doing this can make your diction sound cloudy and can reduce the resonance of your voice. Practice singing the song with your tongue high and forward (like a high-heel shoe shape in your mouth). It is likely that you are pushing your tongue down to reach your lower notes too. You can try pushing your tongue all the way out, holding onto it with a tissue and singing the first verse on a single vowel – you will feel when your tongue is trying to fight you! I am a 13 year old girl from Malta. I’ve been singing since I was 9. I am taking lessons with UK ‘The Voice’ mentor Mr. Joshua de Cadenex (aka Joshua Alamu). I took part in several competitions including San Remo Junior Malta where I placed 2nd in 2015 and 1st in 2016. 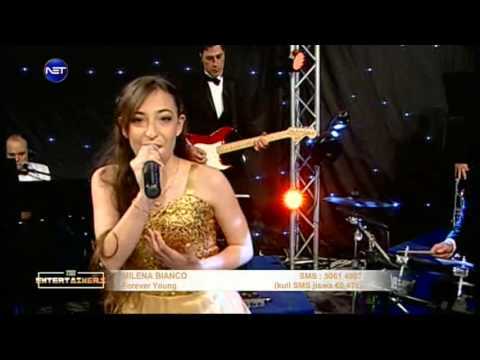 This video link I am attaching is another tough maltese competition singing live with a six piece band. I have placed 2nd in this competition too of 51 participants aged between 12-15.My favourite singers are Ariana Grande, Louisa Johnson, Jennifer Hudson and Christina Aguilera. Please note that this video has a 10 seconds introduction of myself before I start singing. Thank you very much. Really appreciate this opportunity – Milena.